There are a lot of people calling themselves “promoters” of fashion shows and events these days looking for the talent they need to put on a successful event. How do you tell the good ones from the not so good? There are many “for profit” organizations charging top dollar in entry fees to use your fashion designs, who don’t even provide you with a garment rack or any promotional posts before, during or after their show. That’s not giving a designer much value for their dollar, not to mention time and talent. Some events recruit volunteers to do hair and makeup under the guise of “exposure and experience” while offering very little exposing, in return for your hard work. There’s a fine line between needing you to work for free so they can make money and giving you an opportunity that’s actually worth it. Here are 10 questions to ask in order to help you sort out their intentions and what’s in your own best interest. Is this a person or organization trying to make a quick buck or do they have an actual production or event company? If in doubt, ask for more details on their credentials, check sunbiz.org in Florida, other state agency for the company they say they represent to verify they actually exist. Have they actually booked the venue where this event is slated to take place? In the last year I’ve know 3 people who spent thousands of dollars in entry fees, designing and sewing clothes, travel expenses and one even traveled from the USA to France to show at a venue that was being promoted, but was never actually booked for the event. Verify these details before you agree to participate or spend large amounts of money for being featured in a fashion event. Is this their first fashion event? If so make sure they’ve got everything organized and can answer the rest of these questions. If not, find out how their other events went. Check their social media and ask past participants how things went for them. Is this a “For Profit” or Nonprofit event? Nonprofit organizations have to show you where the money goes. For profit organizations don’t. If it’s a nonprofit, charity or fundraiser, volunteering your time is no big deal, but if you’re working for free so they can make money, what’s in it for you? How many meetings or rehearsals will you be required to attend before the event? How much of your time will this take? Will you have free access to the “exposure and experience” photos and/or videos or will that be an additional expense? If they want you to work for free or are charging you to enter their event, they should be providing you with a basic package of photos documenting your participation in exchange for the fees you paid or to compensate you for not being paid. How exactly will they promoting you before, during or after the event? “Experience and Exposure HOW?” Will they be posting photos of you on their social media or will there be a web page of the event? How many followers do they have? 10,000 followers is an influencer level. If they are not there yet or you have more followers than they do, maybe you should be the one getting paid and promoting that you are in their show? These things can be negotiated. Who are they selling tickets to? Is this strictly an entertainment event or will there be any actual buyers, bloggers, news media or anyone else in the audience who could be beneficial to you? Fashion as Entertainment doesn’t usually have much to offer in return to anyone other than the promoter. Will you have access to the list of attendees, models, hair, makeup, photographers involved so you can follow up and network with them? Asking basic questions before you commit to participating in any fashion event and verifying information before you volunteer your time or pay to participate is the best way to sort out what’s worth your time from who wants you to work for free, so they can make money. Most Fashion Events have sponsors, sell vendor booth space and event tickets so they can make a profit and cover expenses. 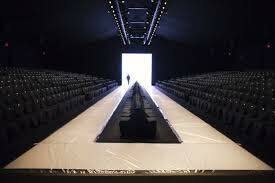 Fashion Events need talent to make the event happen. In most industries the talent gets paid because you’re the main attraction. Giving you something in return for your fees and /or skills participation should include promotion, logos, advertising, being properly introduced, photo and video documentation along with a comfortable, organized, enjoyable, experience that has the potential of making you some money selling your designs or getting booked for paying work in the future. This entry was posted in Uncategorized and tagged Designer, Fashion Event, Hair Stylist, Know Before You Go, Makeup Artist, Model Casting Call, mua, Orlando Fashion District, Promoter, Runway Show, What to Ask. Bookmark the permalink.